Every great event deserves a great venue. One place many people look to when hosting a party or celebration are private rooms in restaurants. Private rooms allow guests to enjoy all the amenities of a restaurant while doing so in an area that is separate from the public. The best part is that private rooms can be used for a wide variety of events, ranging anywhere from a graduation party, to large banquets! Although Orlando is usually known for its incredible theme parks and being one of the world’s most famous tourist destinations, its restaurant scene deserves just as much recognition. Featuring cuisines that span nearly every region, Orlando has a bevy of eateries that fit every occasion and budget. Orlando’s diversity of flavor and vast varieties of accommodations mean that you will have nearly endless options for your private gathering. We hope that you’ll use Escot to explore them. 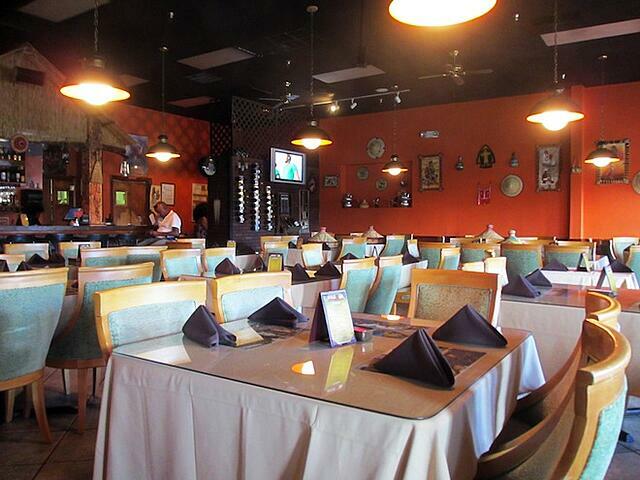 Standing proud as one of the few Ethiopian spots in the Orlando area, Nile Ethiopian Restaurant consistently delivers top-notch food that accurately portrays African cuisine. Each meal is carefully crafted from quality, all-natural ingredients while maintaining a price that is budget-friendly. Although it isn’t billed as a vegetarian restaurant, many of the dishes on the menu happen to be vegan-friendly and feature healthy alternatives to your average dining fare. The interior of the restaurant captures the ambiance of a traditional Ethiopian home, while providing a space that is cozy and warm. The Nile also offers private eating areas that are separated by dividers to provide a more intimate dining experience. Average pricing ranges between $5.50 and $29.95. Nothing pairs better with good food than good music. At the Hard Rock Cafe Orlando, take a stroll down a Rock-and-Roll themed memory lane as you indulge in scrumptious meals such as hickory smoked ribs or a Guinness Bacon Cheeseburger. 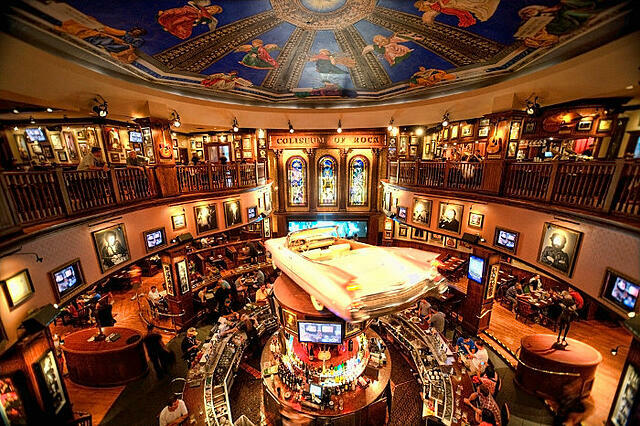 Touting itself as the largest Hard Rock Cafe, the Orlando location boasts a multi-level cafe and an unheard of 3,000 person concert/party venue. But the fun doesn’t stop there. The Hard Rock features the world’s largest collection of Rock memorabilia, ranging from Les Paul’s infamous broken guitar to the suit Elvis wore in Viva Las Vegas. When it comes to holding private events, the Hard Rock outdoes everyone else by offering a variety of different venues to suit every need. Smaller groups of up to 300 people can enjoy an upscale party in the Lennon Room Terrace, or for the super-popular among us, the Hard Rock Live portion of the cafe is available for events up to 2,800 people. Rental rates are available upon request and menu prices generally range between $9-$23. Located in the renowned Disney’s Grand Floridian Resort & Spa, Victoria & Albert’s consistently ranks as the #1 restaurant in all of Orlando. 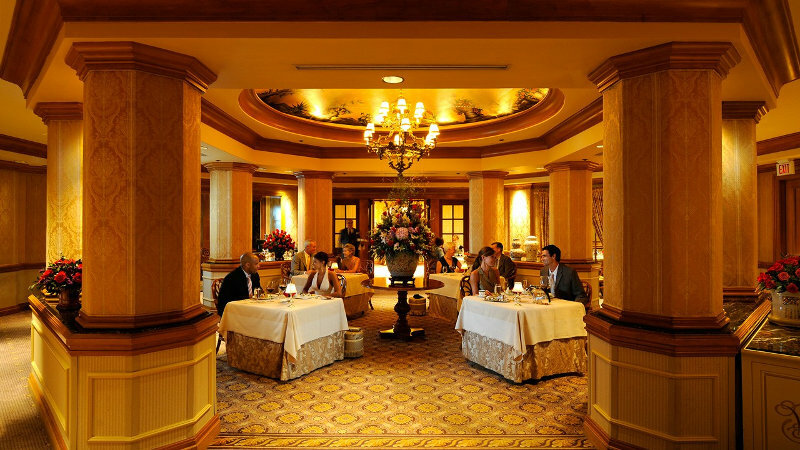 Its largely considered to be the ultimate fine-dining experience in the entire Southeast. Opulent in every regard, Victoria & Albert’s features a modern American cuisine that is prepared by some of the most talented chefs from around the globe. Dishes such as Virginia Black Bass with petite French lentils and roasted carrots along with green apple mousse with sour-cream ice-cream are just a sample of the delicacies to be found. Dining here is strictly a formal affair as there is a dress code in place and a waiting list of up to 3 months. Fine dining also comes at a relative hit to the wallet with the average price per adult beginning at $60. Private dining occurs in Queen Victoria’s Room where there awaits a wood-burning fireplace, a harpist that serenades you as eat, and a very exclusive limit of up to eight guests. Victoria & Albert’s is fine-dining at its best and includes an experience that is worth every penny. 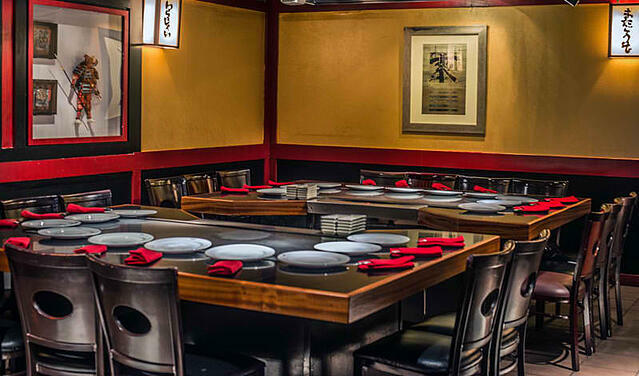 Critically acclaimed and a recipient of multiple awards, Kobe Steakhouse is a leader in Orlando’s Japanese food scene. Established in 1984, Kobe’s has a long history of making Japanese culture and cuisine both accessible and entertaining. Its menu features traditional Japanese staples that have been elevated to heights. Among these are the fusion of Mexican and Japanese styles of cooking, resulting in the unique and satisfying Mexican Roll. If that isn’t daring enough for you, why not put your sweet tooth to the test and sample Kobe’s fried ice cream (yum). Average meal prices fall between $20 and $35 and private dining is available at a $250 check minimum. Fogo de Chao brings Brazilian cuisine to the heart of one of Orlando’s most popular visitor corridors. Located on International Drive near the Orlando Convention Center, Fogo de Chao serves up traditional Brazilian dishes such as Cordeira and Churrasco alongside an atmosphere designed to welcome the entire family. Among its signature attractions are its large variety of slow-roasted meats and seasonal market table that features fresh Brazilian market-inspired ingredients. 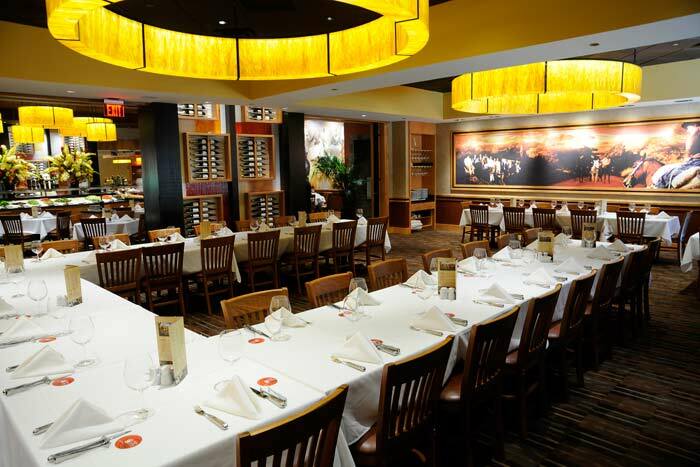 In addition to public dining, Fogo de Chao also offers private and semi-private spaces that can accommodate up to 110 people. Meal prices generally range between $31 to $50. You have to hand it to someone that can turn a menu item into an entire theme for a restaurant. That is exactly what the owners of The Melting Pot have done in creating a space where everyone can celebrate their love of fondue. The aptly-titled establishment offers a large assortment of ingredients to satisfy all your dipping needs. 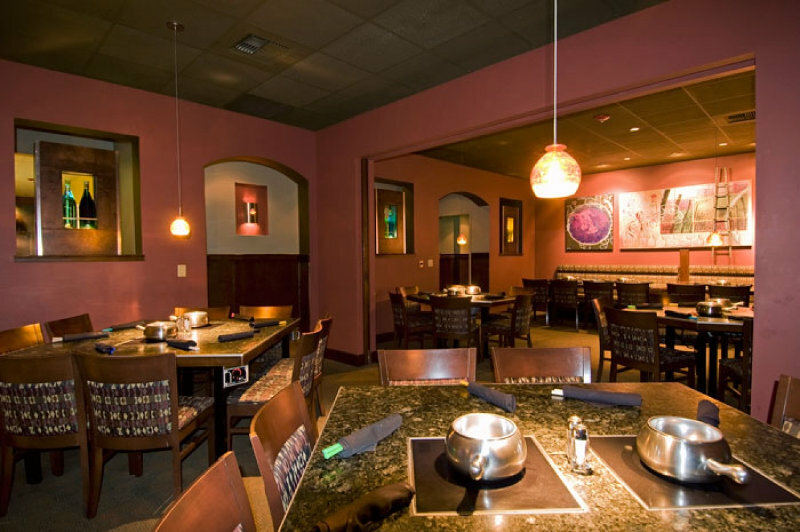 Featuring items such as Wisconsin Cheddar Cheese and White Chocolate Creme Brulee, The Melting Pot offers endless possibilities that will keep you coming back for more. The average meal prices ranges between $30-$60 and private dining pricing and seating information is available upon request. 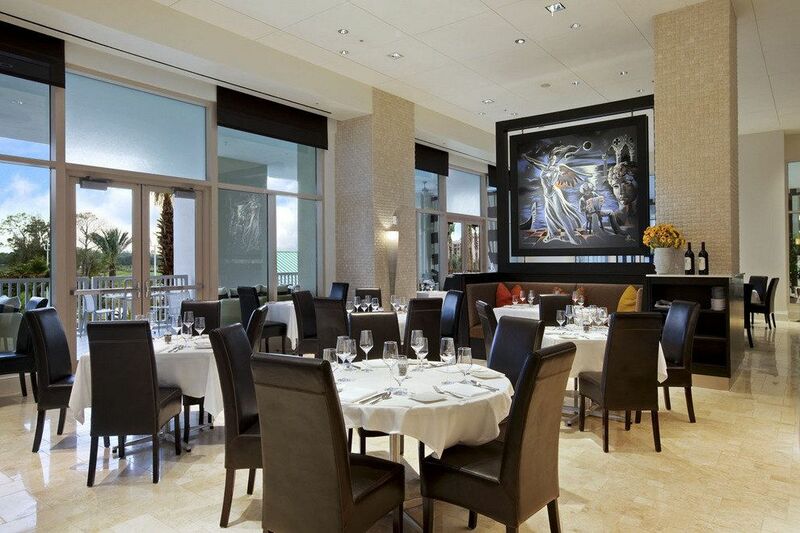 Known as the signature restaurant of the Hilton Orlando Bonnet Creek, La Luce has a reputation of being one of Orlando’s most welcoming places to eat. La Luce’s modern Italian dining combines upscale meals with an atmosphere that is reminiscent of the comforts of home. Its interior is unmistakably high-end, but features rustic touches such as family-style meals and a revolving artwork display that showcases the work of local artists. When it comes to the food, La Luce provides everything you’ve come to expect from an Italian restaurant including staples such as Margherita pizzas and handmade gnocchi. Average prices range between $31 and $60 and private dining rates can be determined when making reservations. La Luce stands out by making you feel less like a customer, and more like a member of the family, which is something that is a unique experience in itself. Orlando is a city that is full of hidden gems, chief among them being its incredible variety of available cuisines. Its large restaurant diversity means that you have an option to fit any requirement you may have for your private dining experience. As you taste your way through the city, Escot will be there to ensure your journey is as enjoyable and memorable as possible. Planning an Event in Orlando? Check out these great Central FL Group Travel Guides from Escot!  Need Group Transportation? Check out our Orlando Charter Bus Page.